JOSÉ DE CASTRO (JOPI) (28-02-74), best known as José de Castro and Jopi, is a Spanish guitarist, producer and musical director. Nowadays, he is playing with the band that accompanies the Spanish singer Melendi. Afterwards, he worked as guitarist in several orchestras and bands, combining it and working also as a teacher in “Ritmo y Compás” and other music schools, until 2002. In 2002, his first instrumental album was released, called “Un poco de lo Mío”, written, edited and produced by himself. Working with him, were the musicians Alex García as bass and Manu Rey as drum. “Un poco de lo mío” mixed rock sounds with other styles as funk, pop or fusion among others, and received really good critics by the Spanish and international press. 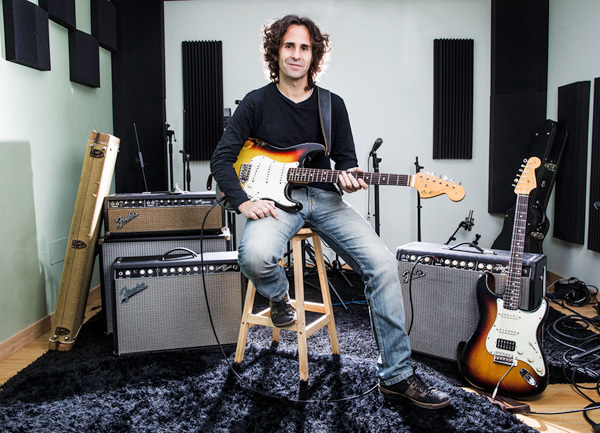 In 2004 José recorded his second album, “Music Guitar Box”, where he was surrounded with great musicians as Simon Phillips and Melvin Lee Davis, and other musicians from the Spanish scene as Maurizio Sgaramella, Denis Bilanin and Enzo Filippone. In 2006 his third work was released “Conversation”. In this album, José played again with Melvin Lee Davis, Denis Bilanin and Enzo Filippone, also with José Vera playing the bass and Iñaki Quijano playing keyboards. In 2009 the first live album was released, the fourth one, recoded during two concerts in his hometown Leganés on 21st and 22nd November 2007. “LIVE” was the title being a double CD, where, once again, Enzo Filiponne and José Vera, along with Alexis Fernandez, played with him. In 2012 his fifth work was released with the name of “Moments”, and again working with Enzo Filippone and José Vera. This is the first album that is recorded in his own studio “JDC ESTUDIOS”. The mixes were made by Ron Saint Germain and the mastering by Joe Gastwirt. From 2010, José has his own recording studio “JDC ESTUDIOS” in his hometown Leganés where he produces great amount of recordings and productions to different artists and bands. With his own music, he has shared stage with guitarists as Joe Satriani, Michael Landau, Scott Henderson, Paul Gilbert, Guthrie Govan, Richard Hallebeck, Reb Beach, Mattias IA Eklundh among others great guitarists. He has worked with many artists, as a guitarist and as a producer. Chenoa, Malú, Mónica Naranjo and Melendi are some of the artists in the Spanish scene he has worked with. Since 2012, Jose is an artist of the prestigious brand Fender. 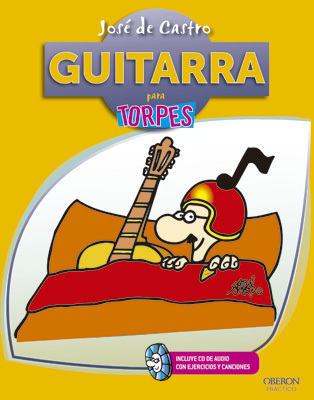 In November 2012 the first book “Guitarra para torpes” written by him was published. The book is edited by Editorial Anaya and belongs to the collection “para torpes” (For Dummies) with illustrations by Forges. During 2013 he makes more than 100 concerts (promotions and gigs on tour) due to the releasing of Melendi’s last CD “Lágrimas desordenadas”, playing in as Spain as in Sudamerica. Jopi takes part in the TV show “Generación Rock” in TVE-1, where he, together with Melendi and Reichel, form a rock band with 15 persons, all of them, older than 70 years old. The TV show is broadcasted as on TVE-1 Spanish public TV, as on the Spanish international channel ( TVE International). During October 2013, Jopi makes a series of gigs in China with the guitars’ effect brands MOOER and YOYO. Because of the success of his concerts there, they decide to edit a CD where there will be songs that are part of his 4 studio albums. In April 2014, will be release to the market “Best of José de Castro for China”. The CD will be edited only in China physically (will be released in CD format only in China) but it will be able to be bought in some of the most important downloading platforms /shops.